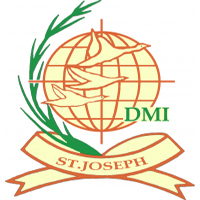 St. Joseph University in Tanzania (SJUIT) invites applications from suitably, qualified and experienced individuals for the position of Tutors in Pharmaceutical Sciences at its College of Health and Allied Sciences (SJCHAS) Boko, Dar es Salaam. Holders of Bachelor of Pharmacy from a recognized University and Full Registered as Pharmacist with Pharmacy Council of Tanzania. Minimum working experience of at least two (2) years in Medical Schools/ Health Training Institution. Having knowledge of Medical Sciences, research, consultation, project management, and cultural awareness will be an added advantage. NB: The applicant must be ready to practice at St. Joseph Hospital Mbweni. Qualifying and interested candidates are encouraged to submit their applications accompanied with curriculum vitae (CVs), photocopies of degree certificates, academic transcripts, and names and contact information of three referees.